Home » What is Rendezvous? 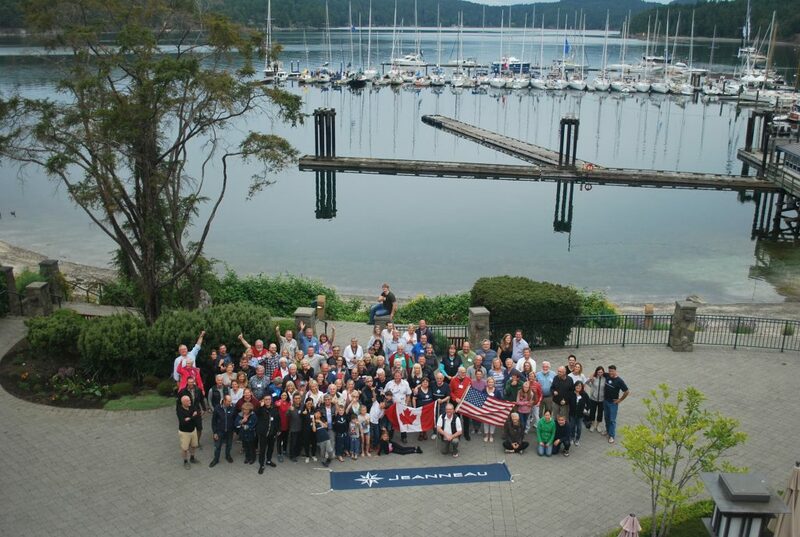 Fraser Yacht Sales proudly hosts the Western Canada ‘Jeanneau Rendezvous’. An annual event, the Jeanneau Rendezvous gathers Jeanneau owners from across the west coast for a fun-filled weekend of sailing, games, activities, and culminates with the famous Saturday dinner banquet where everyone walks away with a prize. In its 19th year already, this Rendezvous is the longest running Jeanneau Rendezvous in North America and it’s a great chance to meet new and old friends, swap stories and adventures, talk tricks-of-the-trade while enjoying culinary delights and drinks, while being in the magnificent setting of Poets Cove. Poets Cove, Pender Island, British Columbia, Canada. For further information, please contact us or give us a call at 604.734.3344.